The Woods at Dunham Pond is an active adult community in New Fairfield, Connecticut. Surrounded by lakes in a picturesque resort town, The Woods at Dunham Pond offers rest and relaxation daily. Residents are never far from big-city entertainment with a nearby train station shuttling passengers to New York City. The community includes 33 attached homes built between 2004 and 2015. Built atop a plateau, The Woods at Dunham Pond offers treetop views of the natural beauty surrounding the neighborhood. Residents can take a quiet stroll through the community’s walking paths and enjoy the countryside. A homeowners’ association provides maintenance for the community, so residents don’t have to worry about lawn care or snow removal. Homeowners are able to spend more time enjoying the lake, taking trips to New York City, or socializing with friends. Construction of The Woods at Dunham Pond began in 2004 and wrapped up in 2015. The community includes 33 attached homes that range in size from 1,700 to 2,110 square feet. Homes have one bedroom, a den, and one-and-a-half bathrooms. The Fairfield model includes a one-car garage. Features in some homes include granite countertops, wood floors, and stainless steel appliances. The Woods at Dunham Pond is located in New Fairfield, a summer resort destination known for its lakes. Candlewood Lake, the largest lake in Connecticut with a 60-mile shore, is great for boating and fishing year-round. Swimmers, kayakers, and picnickers frequent Squantz Pond State Park. Just down the road from The Woods at Dunham Pond, downtown New Fairfield includes shopping centers, restaurants, and banks. Memorial Field hosts baseball games and summer concerts. Golfers have several courses in the area to choose from, including Stanley Lasker Richter Municipal Golf Course, Sunset Hill Golf Club, and Candlewood Valley Country Club. New York City and John F. Kennedy International Airport are only an hour-and-a-half drive away. Residents can also catch a train into the city from Brewster, which is only a 23 minute drive from the community. 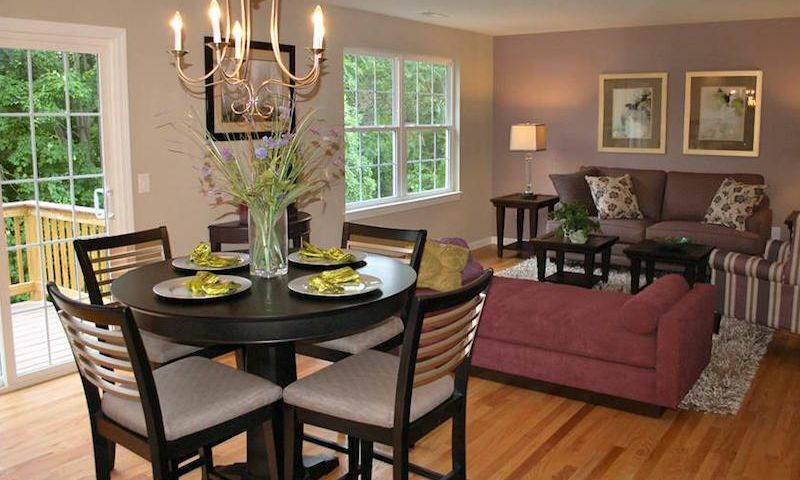 With a fantastic location for outdoor recreation and commuting, The Woods at Dunham Pond in New Fairfield, CT offers active adults a peaceful home not far from the city. Check back soon for more information on the lifestyle in The Woods at Dunham Pond. Construction of The Woods at Dunham Pond began in 2004 and wrapped up in 2015. The community includes 33 attached homes and range in size from 1,700 to 2,110 square feet. Homes have one bedroom, a den, and one-and-a-half bathrooms. The Fairfield model includes a one-car garage. Features in some homes include granite countertops, wood floors, and stainless steel appliances. Please Note: Floor plans are not available at this time. 55places.com is not affiliated with the developer(s) or homeowners association of The Woods at Dunham Pond. The information you submit is distributed to a 55places.com Partner Agent, who is a licensed real estate agent. The information regarding The Woods at Dunham Pond has not been verified or approved by the developer or homeowners association. Please verify all information prior to purchasing. 55places.com is not responsible for any errors regarding the information displayed on this website.